Matt is a Director and led the founding team of UpEnergy Group, a company that finances and distributes clean energy technology in Africa and was named one of Fast Company’s 10 Most Innovative Companies in Africa in 2014. Matt also served as Managing Director of Impact Carbon, a climate finance nonprofit. While there, he worked with an amazing team that grew revenues by 16X, developed new social investment products, and launched new business lines including a UV water treatment retail and financing business that became Impact Water. Prior to completing his MBA, Matt worked in product management at Sunpower, worked with social enterprises in the NESsT venture fund to measure and grow their impact, evaluated social entrepreneurs at Ashoka, and developed climate models at Stanford’s Center for Environmental Science and Policy. 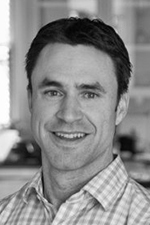 Matt serves on several boards and holds an MBA from Haas – Berkeley and a BA in Economics from Stanford. He loves the mountains when it snows and running on Ocean Beach with his dog.